All of my recent Halloween crafting has inspired me to go back into my 2014 Project Life Album and fill in the gap I left in the few weeks around Halloween. I have soooo many pictures of my Son's first Halloween! I'm going to try to get them all in my album before I have even more from this year's Halloween! Here is my finished page for Halloween Morning. My title card uses a 4x6 piece of Basic Black card stock and a 3x4 card from the Project Life by Stampin' Up! Seasonal Snapshot 2015 kit. I adhered it with washi tape and added a little bat sticker, both from the accessory pack. I used part of a spiderweb doily on Tangelo Twist card stock for the card on the top right. I also added some Happy Haunting washi tape and a journaling sticker from the accessory pack. The 3x4 card on the bottom left is from the card collection and the 2x2 card and washi tape are part of the accessory pack. This 3x4 card is from the card collection and I added part of a spiderweb doily and a little stamped pumpkin that I cut out with scissors. That pumpkin stamp was from my September 2015 Paper Pumpkin Kit. I stamped it in Tangelo Twist and Mossy Meadow. Watch my video above to see my process for making this page. Make sure to subscribe to my You Tube channel for more Project Life Ideas! 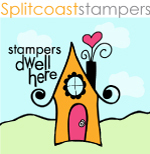 This video from Stampin' Up! shows everything included in the Project Life by Stampin' Up! Seasonal Snapshot 2015 Bundle. Below is a list of products that I used to create my Project Life page with links to those products in my online Stampin' Up! store. You can shop online with me anytime 24/7! And, I'm giving away FREE GIFTS for every order placed with me of $30 or more by Sunday November 8th 2015! Just enter Hostess Code: EX4UVKTH when you check out. 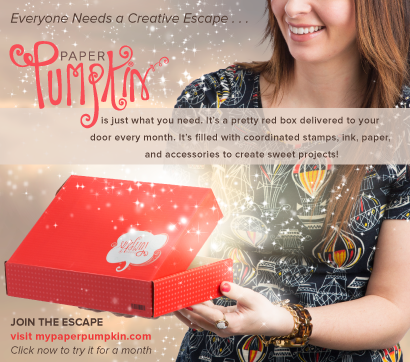 If your order is over $150 don't enter the Hostess Code so you can use your own Stampin' Rewards! I'll still send you your free gift!